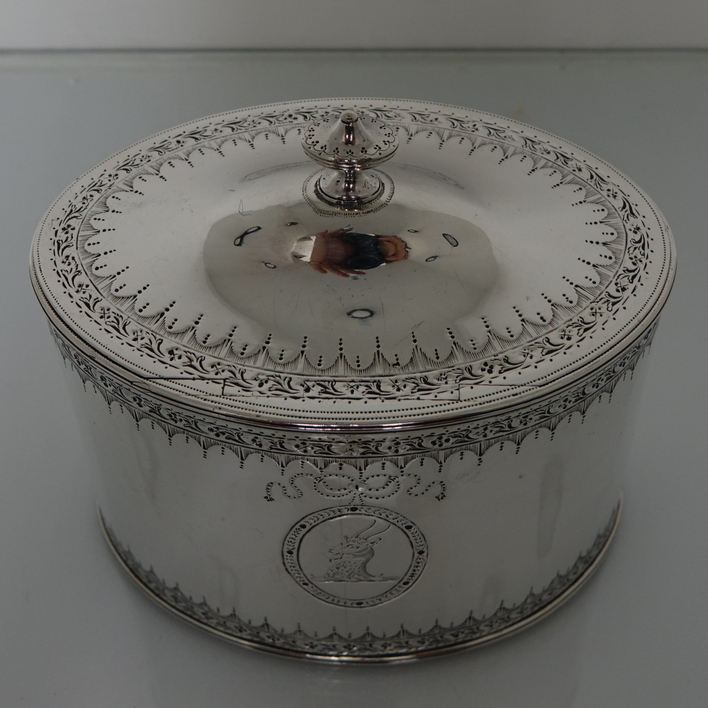 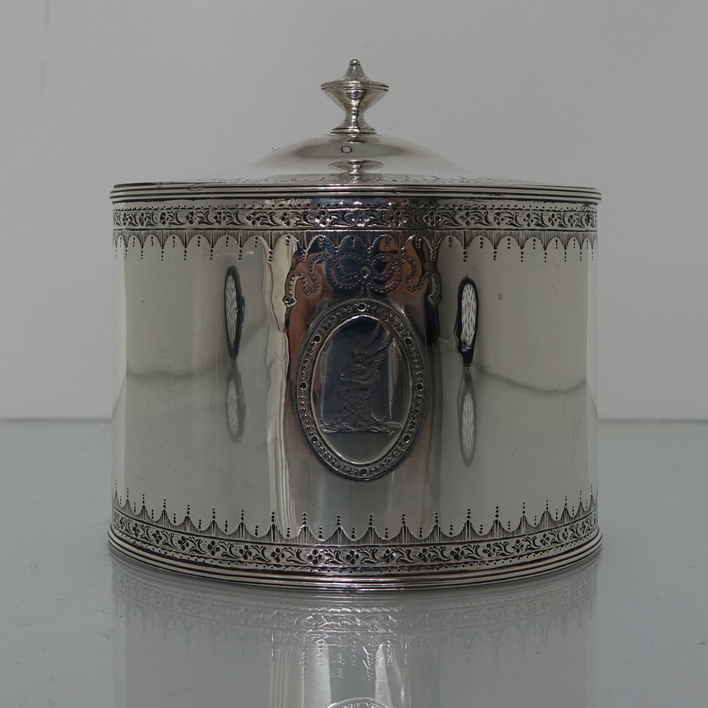 A very large and elegant 18th century oval bright cut engraved tea caddy with hinged lid. 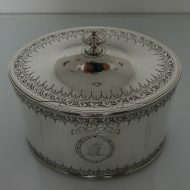 A very large and elegant 18th century oval bright cut engraved tea caddy with hinged lid. 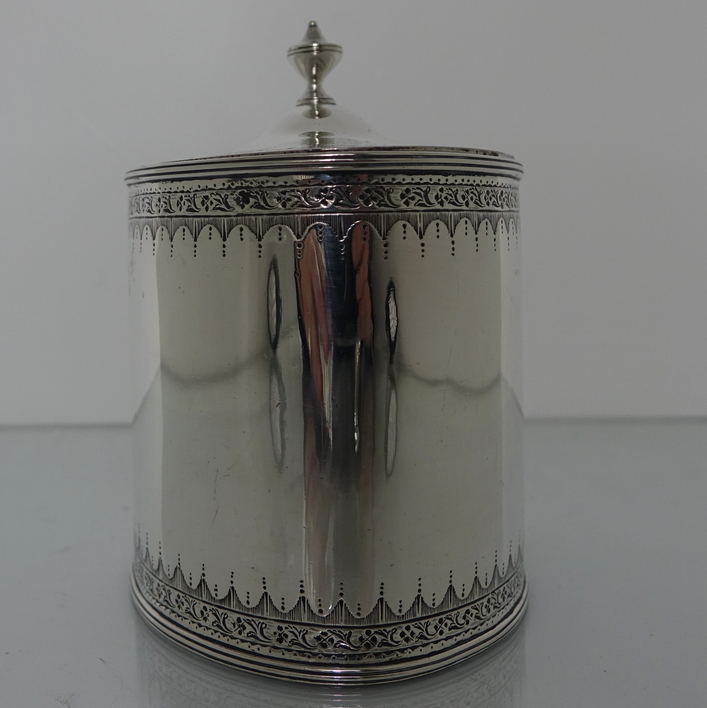 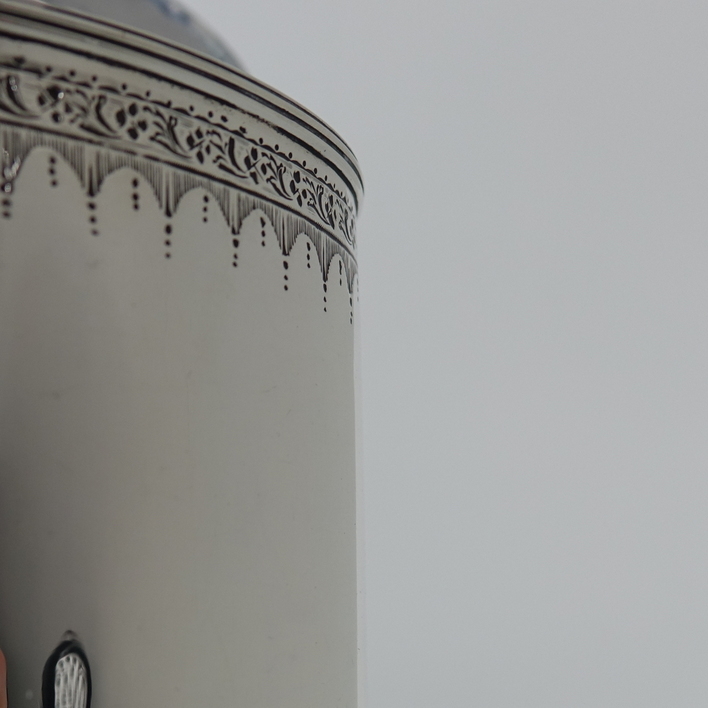 The body of the tea caddy has an upper and lower band of intricate bright cut hand engraving. 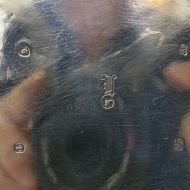 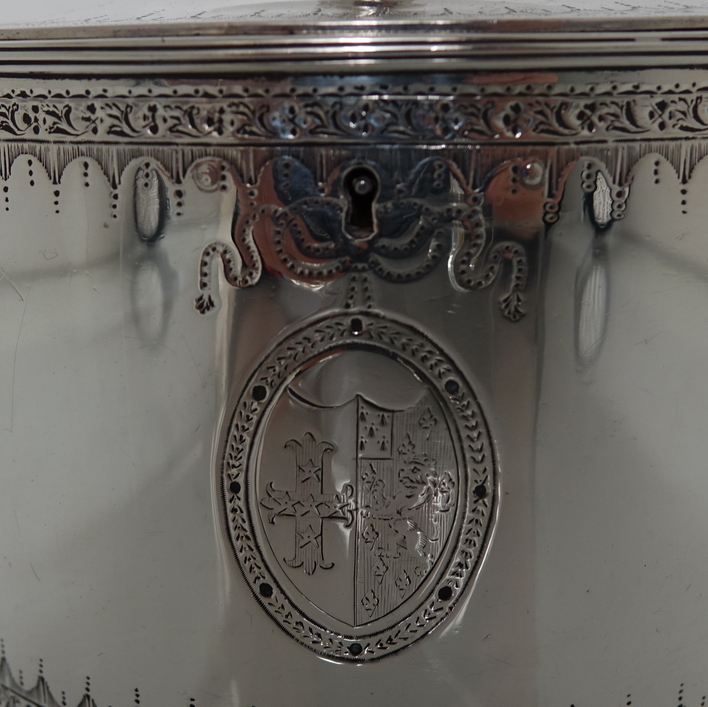 The front of the caddy has a lock under which sits a cartouche baring a coat of arms. 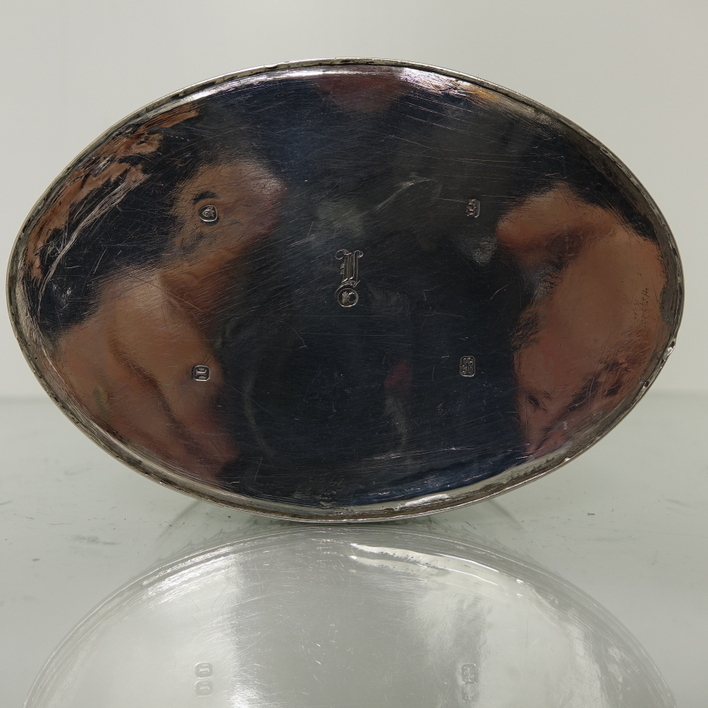 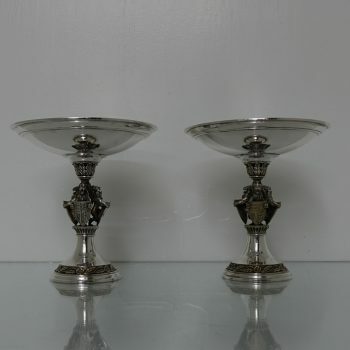 There is also a cartouche on the opposite side with a crest. 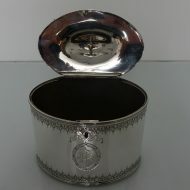 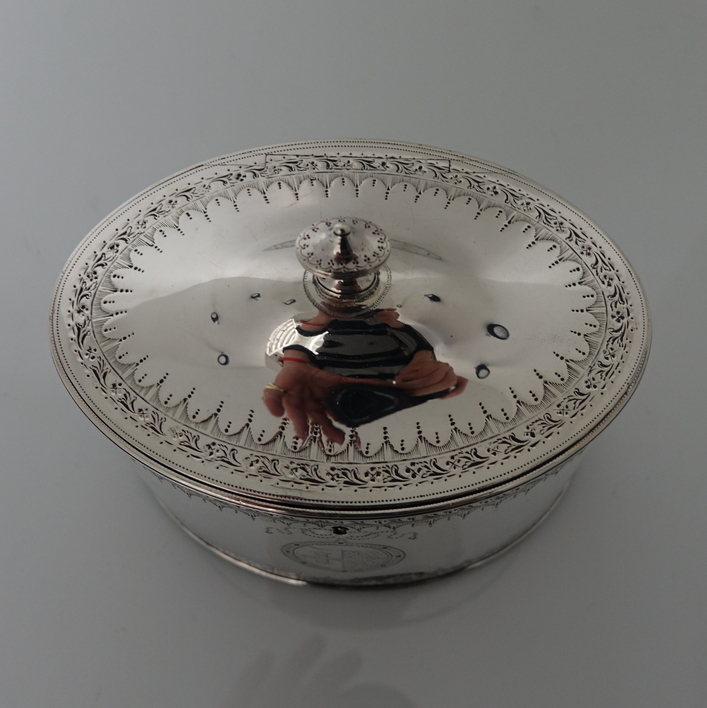 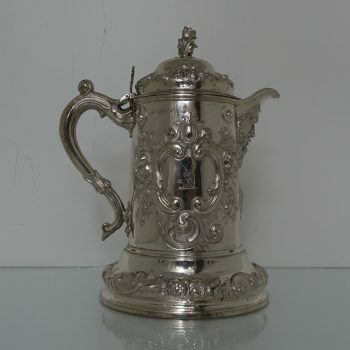 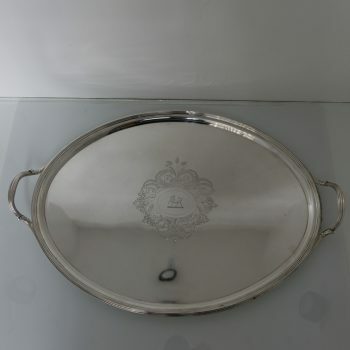 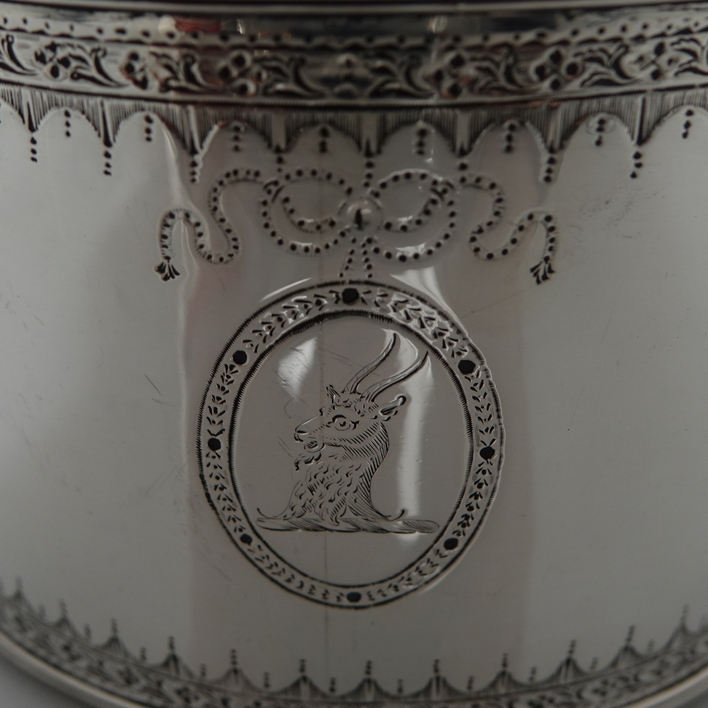 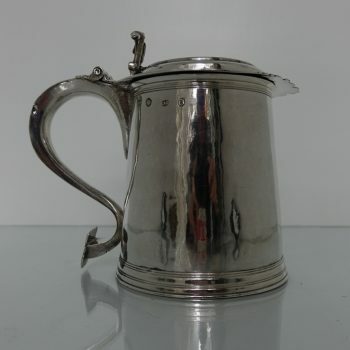 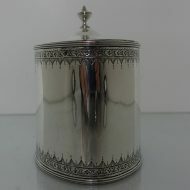 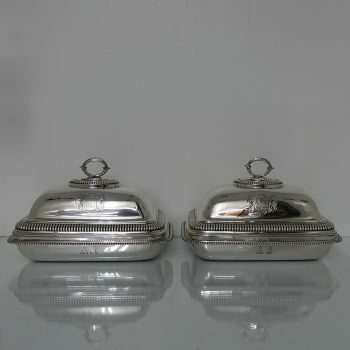 The lid of the caddy is has an outer band of intricate hand bright cut engraving with finial also bright cut engraved. 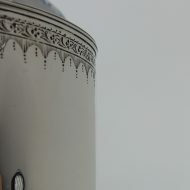 Condition: Excellent throughout. Makers mark slightly rubbed but clearly readable. 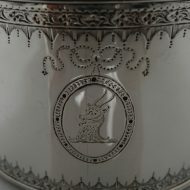 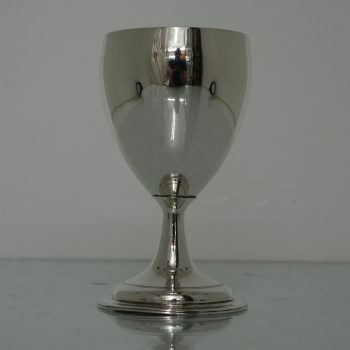 Contemporary Initial engraved above duty mark.